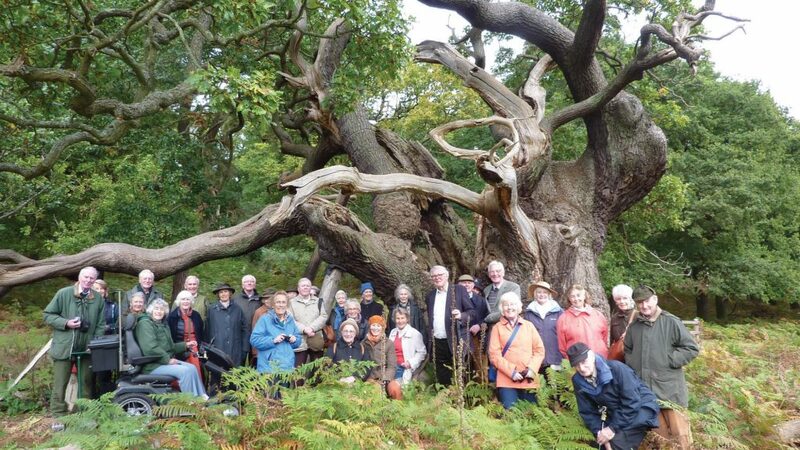 One of the major benefits of being a member of The Kent Men of the Trees is being able to join us on the visits and longer excursion organised throughout the year. 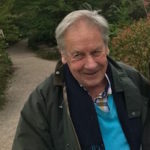 We arrange about three visits each year for members to visit notable houses in Kent as well as public parks and gardens. We also organise one longer excursion further afield, packed with exciting parks, gardens and other attractions. At each site we rely on local expertise to guide us around the site and explain to us the important features of the woodland planting. Many of the parks and gardens are not open to the public and our members are privileged to see how gardens of a bygone era were set out and maintained. Many such estates contain rare trees planted centuries ago which were brought back to England by intrepid plant hunters eager to impress their neighbours with unique and hitherto unseen specimens from, for instance, China and the far-east. During the 1987 storm many rare trees were uprooted and destroyed leaving many famous estates devoid of unusual trees which had previously attracted visitors. Replanting became an important task for estate managers during the following decade and a few parks now have on display younger trees intermixed with older specimens that braved the storm. 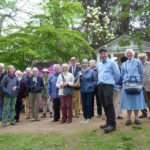 In addition to excursions to sites in Kent we promote each year a longer visit to arboreta in other counties and we have recently visited, for instance, the famous collection at the National Arboretum at Westonbirt in Gloucestershire, the estate of Lord Hesseltine in Oxfordshire, the Chase and Park owned by the Marquis of Northampton, and last year, the world-renowned collection of Oaks in Devonshire, the home of Mr. Heathcote-Amery. Click to see the visits and excursions we have planned for members to join. Each year, at our Annual General Meeting, we invite a speaker to address us on a topic of interest pertaining to trees.